We're loaded, and there are some pretty wacky links this week, so let's get going. I didn't have a gaming links post this week, but Matt Sakey has a new installment of "Culture Clash," and this month, he calls a certain game a crime against gaming. From Sirius, an amazing link to a story about how orangutans can make a musical instrument. Next, the discovery of a giant carnivorous plant. Also, the discovery of six kilometers of caves in Easter Island. Also, a link that will keep you busy for an hour: Best Science Visualization Videos of 2009. George Politis sent in a link to a performance video that essentially shows someone riding a bicycle like unicycle. Oh, and someone else is on the bicycle at the same time. And what is it with these kid videos where they do something that's impossible, just totally impossible, and all they ever get is POLITE APPLAUSE? From Jesse Leimkuehler, a link to a story about the five-year anniversary of the Messenger mission. Also, a story about a planet that orbits its star--backwards. 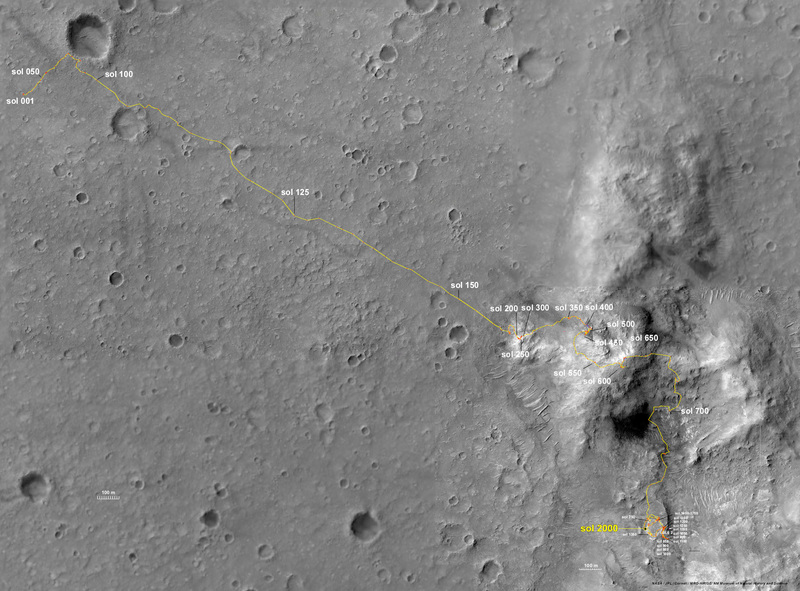 And if you want to know how far the Spirit rover has traveled on Mars, just take a look. From Greg, a link to a fantastic video--The Hubble Ultra Deep Field In 3D. From The Edwin Garcia Links Machine, it's ridiculous, and it's an RC SR-71 Jet. Next, and this is absolutely stunning, it's sculpting metal with high explosives. The images are epic. From Sean, a link to an outstanding piece of academic work: When Zombies Attack! : Mathematical Modelling Of An Outbreak OF Zombie Infection. How awesome is that? From Allen Varney, a link to a motorized unicycle that also has a gyroscope. A one-wheeled Segway, of sorts. Also in the awesome category is a link from Ronny, who sent in a video of ArcAttack, an Austin-based band that uses--wait for it--Tesla coils. From David Gloier, and it's another link that just made me shake my head, it's A Ceiling Made From What? It's beautiful, and you won't believe the answer. Also, a story about the Laser Interferometer Gravitational-wave Observatory (LIGO) and the research it's conducting into gravitational waves given off by the Big Bang. And finally, one more, and it's a doozy: Louisiana sink hole drains entire lake. From my friend Neile, a link to a haunting photo essay: feral houses in Detroit. From Tateru Nino, a link to a story (and video) about laser-guided cow milking.